Each summer, a handful of Weldon School seniors embark on clinical internships to shadow physician mentors, observe clinical challenges, and bring back problems to solve in senior design. But, they return to campus with much more than notebooks filled with ideas and observations. They return with a seasoned perspective that can only be acquired on the front line of clinical medicine. The experience is made possible by a five-year NIH grant designed to make senior design at the Weldon School translational and relevant to the real word. 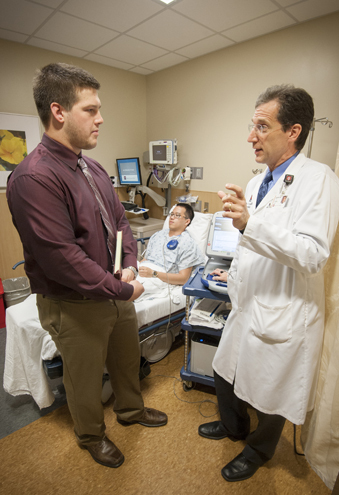 This year, one of the teams paired Weldon School senior Charles Ayres with Philip Krause (BSChE ’82, MD-IUSM), a cardiologist in Lafayette, IN. Ayres shadowed Krause at the Lafayette Heart Institution and the IU Health Arnett Hospital. He observed Krause meeting with patients for standard device check-ups, consultations, and treatment plans. Ayres learned to operate the programming devices for the pacemakers and performed interrogations of these devices. This deepened his knowledge of pacemaker lead connections, battery life, and how cardiac events are recorded. At the hospital, Ayers observed implant procedures, such as charge generator changes and full device implants. As an intern, he was impressed by the teamwork, skill, and calm demonstrated by Krause and his team during tedious procedures. As an engineer, his attention was held by a procedure in which a lead is inserted into the subclavian vein and then run to its intended location on the heart. “Keep in mind that this is done by touch and brief captures on an x-ray that show the position of the wire against a gray background of tissue,” Ayres said. It was easy to read the unspoken question in his mind: Could there be a better way to do this? This was not Krause’s first experience as a mentor, and not the first time he worked with an inquisitive student who challenged the status quo. Two years ago he worked with then-senior Johnny Zhang who returned from his internship with Krause with an idea that he and his senior design team developed into the SafePace, currently a patent-pending product. Krause enjoyed the experience so much he volunteered for another round. The internships are valuable for Krause as well. “Once an engineer, always an engineer,” he quipped. “I always think about projects or ideas that I don’t have time to investigate on my own.” This program gives him the opportunity to discuss ideas with the students. Ultimately an idea or two sticks, and a senior design project begins. 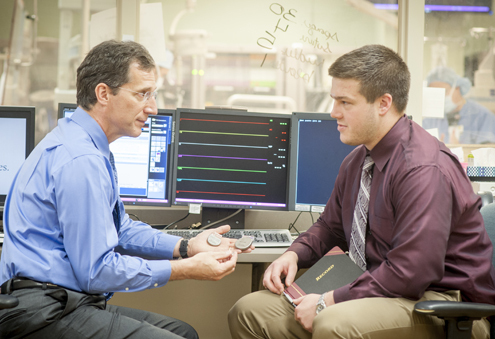 This year Krause and Ayres zeroed in on challenges associated with pacemakers, such as testing the battery of a pacemaker, identifying the pacemaker through x-ray, and the telemedicine aspect of pacemakers. Two of their ideas eventually became senior design projects: improving the accuracy of activity-appropriate pacing and the pacemaker monitoring systems for physicians. Along with Rundell, the project is led by co-PIs Pedro Irazoqui, associate head, Weldon School of Biomedical Engineering; Alyssa Panitch, Leslie A. Geddes Professor of Biomedical Engineering; Kinam Park, Showalter Distinguished Professor of Biomedical Engineering; Sherry Voytik Harbin, associate professor, School of Biomedical Engineering; and collaborator Andrew Brightman, assistant head, Weldon School of Biomedical Engineering and associate professor, Weldon School of Biomedical Engineering. The PI and co-PIs express their appreciation to the NIH for funding this project: “A Multidisciplinary and Needs-Driven Approach to Translational Team-Based Biomedical Engineering Design,” R25 grant #410200008000042143. 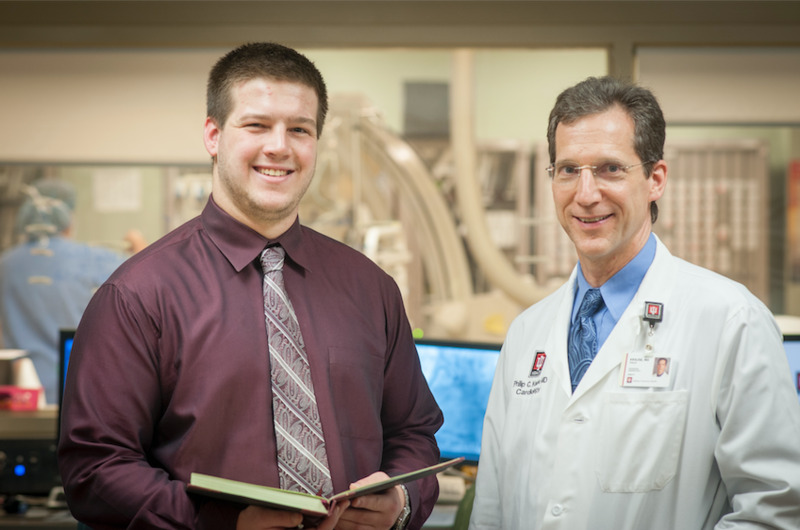 Top 3 photos: Dr. Philip Krause and former Weldon School intern Charles Ayres. Bottom photo: Former interns in the NIH-sponsored Clinical Internship Program returned to the Weldon School for a mid-internship review of their clinical experiences. The team met with faculty members to discuss ideas for potential senior design projects that they identified as real clinical needs at the facilities they are interning for. 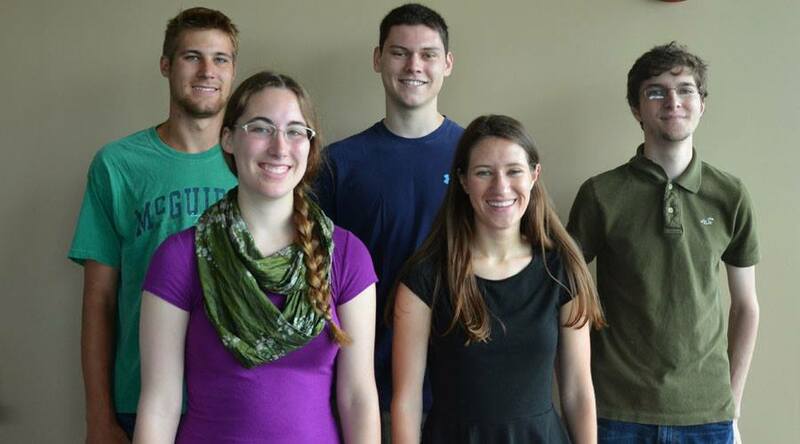 Pictured: Hilary Schroeder, Nick Braun, Eric Miller, Jim McCarthy, and Lauren Gilliland. Not pictured: Charles Ayres.